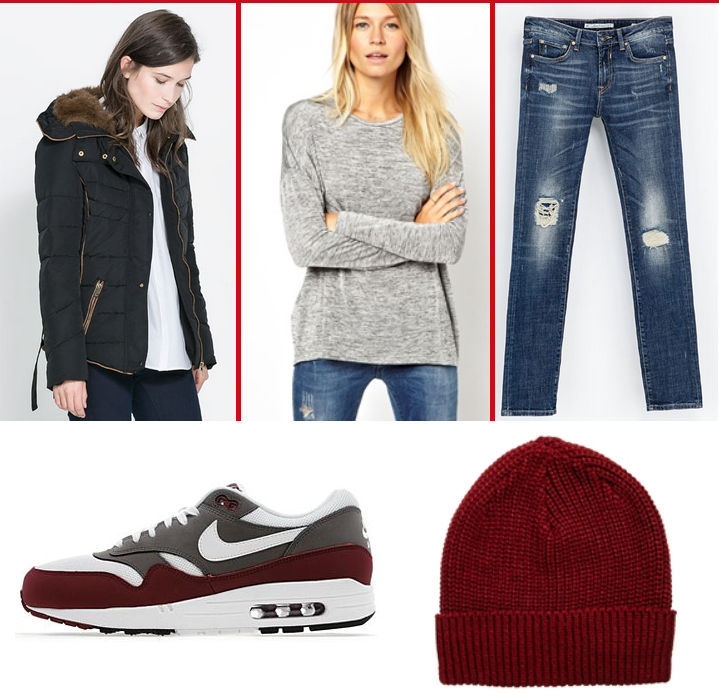 So yesterday I posted about my Autumn Outfit planning. You can see that post below (or here if you're lazy) or if you're really lazy, I'll summarise. I've started planning outfits to help me start my A/W wardrobe. I have nothing left from last year since I went a bit over the top with eBay in January. So I'm starting from nothing bar a few scarves from last year. I've wanted to get a pair of these trainers for a while. I've never really been a trainer person, until I started wearing converse and remembered how comfy they are! I love the colours in this pair. But admittedly, they're really expensive. If I do get them, I'll need to wear them a lot to justify that price! I'd be able to wear these trainers and jeans with a knitted coloured jumper too. Or a patterned beanie to mix it up. All I know is, I had a Zara jacket like this a while ago and it was the warmest jacket I've ever owned. They're a bit pricey too but it's totally invaluable when the weather's freezing, which it usually in Scotland. If you have trainers like this, how do you wear them? 5 comments on " Autumn Outfit Planning #2 "